Hey! 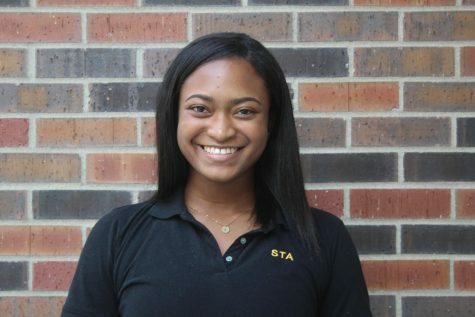 It’s senior, Kendall Lanier, second-year staffer and Lifestyles Editor. I love being a Dart staffer and writing interesting stories for you readers. I hope to one day write for a women’s lifestyle magazine or become a sports broadcaster. When I’m not in the publication room I love spending time with my family and friends, specifically trying new food places. While I’m busy trying to produce my best work, you can find me with headphones in blaring any type of R&B or hip-hop music. I also love all types of dancing, from training long hours in the studio to making up fun dances with my sister. I hope you enjoy following me on my writing journey this year! With love, your passionate staffer.